ROME — If an ancient legend is to be believed, Rome was established on the banks of the Tiber River, where the mythical founders of the city, Romulus and Remus, were rescued and suckled by a she-wolf. For centuries, the waterway — once even deified as the god Tiberinus — bolstered the city’s greatness. More recently, however, the Tiber’s fortunes have been something less than godlike. Great stretches of the riverfront walkways that abut the high travertine embankments built after disastrous flooding in 1870 have been abandoned to the dubious artistic talents of graffiti taggers. Joggers and cyclists must dodge litter, overgrown vegetation and improvised encampments of homeless people, despite decades of promises by city officials to clean up the river’s banks. The river’s filthy waterfront and murky waters are a painful reflection of the more widespread neglect and degeneration that has been increasingly blemishing Rome’s beauty, the inattention a symptom of turbulent — at times corrupt — governance on the part of inadequate city administrations. Faced with the city’s inaction, which it justifies by citing a lack of means and money, several associations of do-gooders have been taking matters into their own hands. Some of these groups have adopted the Tiber as a neglected resource to promote, develop and defend through a variety of initiatives. The most recent effort materialized this month along a 500-yard stretch of the embankment with an incongruous procession of historical characters depicting a series of “Triumphs and Laments,” as the project is called, of Rome’s history. The figures were created using gigantic stencils and power-washing to erase layers of smog, soot and biological patina on the embankment — a process sometimes known as reverse graffiti — to produce beauty from grime. The ancient statesman Cicero, St. Peter and the aforementioned she-wolf are among the dozens of figures, drawn from iconic sculptures, photographs and monuments, along with Bernini’s statue of St. Teresa in ecstasy. There are celebrities: Anita Ekberg and Marcello Mastroianni from “Dolce Vita” days. And then there are the unknown and anonymous: three women who are the nameless widows of countless migrants who have drowned trying to cross the Mediterranean into Italy. “There’s no specific narrative, except that everyone’s triumphs and glories is someone else’s laments and shamefulness,” the project’s creator, the South African artist William Kentridge, explained one recent afternoon while strolling along the Tiber. With him was the Italian culture minister, Dario Franceschini, who supported the work after many years of administrative opposition and bureaucratic hurdles. 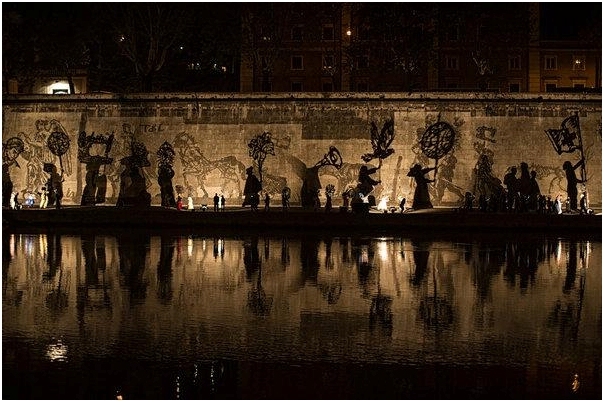 “It was a real challenge getting contemporary art accepted in the heart of the ancient Rome,” Mr. Kentridge said, even if the project was meant to entice Romans to the neglected riverfront, to give it new life. “Our mission is about reactivating a public space that we think has been forgotten, taking an abandoned piece of infrastructure and using site-specific contemporary art to make that space a place once again,” said Tom Rankin, the director of Tevereterno, a nonprofit organization. Tevereterno requisitioned this downtown section of the Tiber more than a decade ago to create a dedicated public space for contemporary art, called Piazza Tevere. Today it wants arts projects — Mr. Kentridge’s mural has been the most ambitious so far — to change the way Romans think about the river, acting as a “catalyst for change along the river’s lengths,” Mr. Rankin added. It does not help that the Tiber is a sort of administrative no man’s land, with more than a dozen public offices — the city, the region, the port authority, regional environmental agencies and so on — sharing supervisory powers. “When it comes to decorum, it’s unclear who is directly responsible, so no one does anything,” said Giuseppe Maria Amendola, the president of the Consorzio Tiberina, an association that aims to promote the Tiber. Rome’s municipal garbage collection agency, AMA, for example, keeps the bike path clean, but it does not touch the adjacent sidewalk. That kind of thinking has fueled a recent surge of grass-roots organizing by citizens willing to get their hands dirty. She co-founded one such group, Retake Rome, in 2009. Since then, Ms. Spitzmiller and a small army of retakers, as they call themselves, have engaged in a collective quest to rid Rome’s streets of mounds of litter, layers of advertising stickers and graffiti scrawled on thousands of palazzos. Today they stage weekly cleanups in neighborhood piazzas and streets, as well as on stretches of the Tiber riverbanks, and count about 30,000 members. But it remains a challenge to engage Rome’s world-weary residents — made cynical and suspicious after centuries of papal and political rule. “People laugh at us for trying to change deeply rooted culture,” Ms. Spitzmiller said, proposing that there are some concepts “that don’t exist in the Italian mentality, like empowerment, the notion that you don’t have to ask for permission” to do something. Roman streets are lined with garbage and meaningless graffiti because taggers and litterers are almost never fined. “That’s how filth becomes the new normal,” Ms. Spitzmiller said. For the most part, City Hall has been supportive of Retake Rome and other like-minded neighborhood associations. 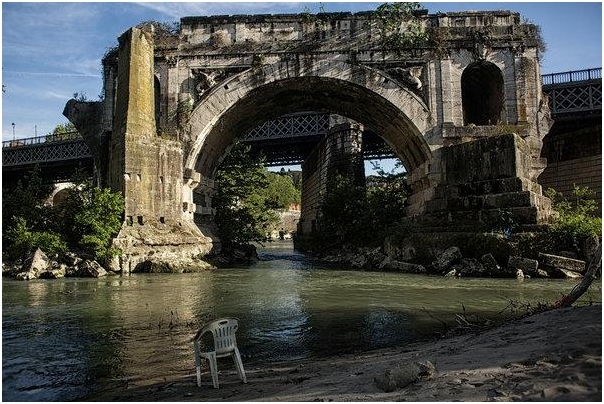 The city’s garbage collection agency and its municipal decorum police squad, known as PICS, often take part in larger cleanup projects, like the “retake” action on a recent Sunday of the left bank of the Tiber, opposite Mr. Kentridge’s frieze. 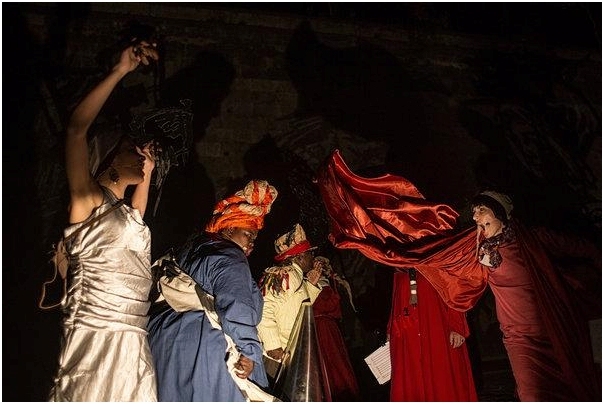 There, thousands of spectators watched a theatrical performance on April 21 — Rome’s symbolic 2,769th birthday — that inaugurated Mr. Kentridge’s artwork. As it is, Mr. Kentridge’s figures stand as a reminder of the Sisyphean task that Rome faces. Over time the images will gradually be covered by fresh layers of soot and smog produced by Rome’s unruly traffic and will eventually disappear. A version of this article appears in print on April 27, 2016, on Page A4 of the New York edition with the headline: A Roman Legion of Volunteers Retakes the Tiber.